With house prices in Rayleigh continuing to rise, it’s no wonder that many of our customers are deciding to extend their existing property instead of moving elsewhere. If you are looking to add extra space to your home – and would rather build upwards than outwards – it could be time to get in touch with the team at A Class. 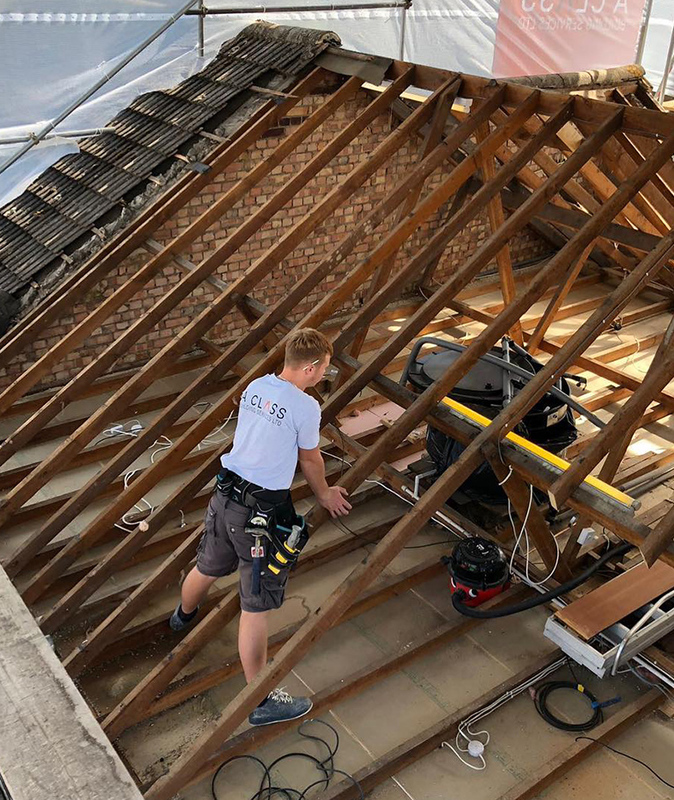 As leading loft conversion specialists in Rayleigh, we have the knowledge, the tools and the team to bring your vision to life. Founded in 2011 by a husband and wife team with decades of combined experience in the construction industry, our loft conversion company has since completed a wide range of conversions for homeowners in the local area. We’re known throughout Essex for producing top quality conversions in a safe and timely manner, all the while guiding our customers through the design and build to ensure that every single aspect of their new space is exactly as they imagined it to be. Quite simply, we’ll work tirelessly to ensure you’re left with a beautiful, fully functional loft conversion at your property in Rayleigh. We’ll stop at nothing to make your sure your conversion finishes on time and on budget. Our designers and builders will work with you closely at every stage of the project, providing you with regular progress updates and keeping disruption at your property to a minimum so the build has nominal impact on your every day life. We’re Rayleigh’s loft conversion specialists. We can think big, but we also know that the devil is in the detail. We’ll work with you to turn your initial ideas into a practical space that will add a great deal of value to your property. We’re trusted by hundreds of customers in Rayleigh and throughout Essex. We’ve successfully completed conversions for many happy customers, all of whom will be willing to share their experiences with you! We manage every conversion project from start to finish. When you work with A Class, you’ll be taken under the wing of a skilled project manager, who will oversee every aspect of the build and report back to you on a regular basis. We guarantee a quality finish. We come so highly commended by our customers because the quality of our work is second to none. Every conversion is planned, fitted and decorated with complete precision. We do things by the book. We’re members of The Federation of Master Builders, TrustMark and Trust A Trader, all trusted trade organisations – and we follow clear site rules at all times to ensure the safety of our customers and our builders. To discuss your upcoming home renovations in Rayleigh with a member of the A Class team, contact us today. Always present on our sites & complete our projects to target. The A Team know how best to extend, convert and renovate your home. Proud of our 5 Star rating on Trust a Trader & Facebook. Clear consistent Project & Contract Management, always knowing just where you stand. Quality assured & delivered for every project. We follow UK legislation and have clear site rules to ensure the safety of our clients, staff & public. Follow our latest project progress and our history via our Facebook & Instagram page. Copyright 2018 A Class Building Services LTD.